TempDot Freeze Indicator, Model 54001 This chemical indicator label is used to confirm exposure to descending temperature conditions and is used on products that are sensitive to lower limit excursions. 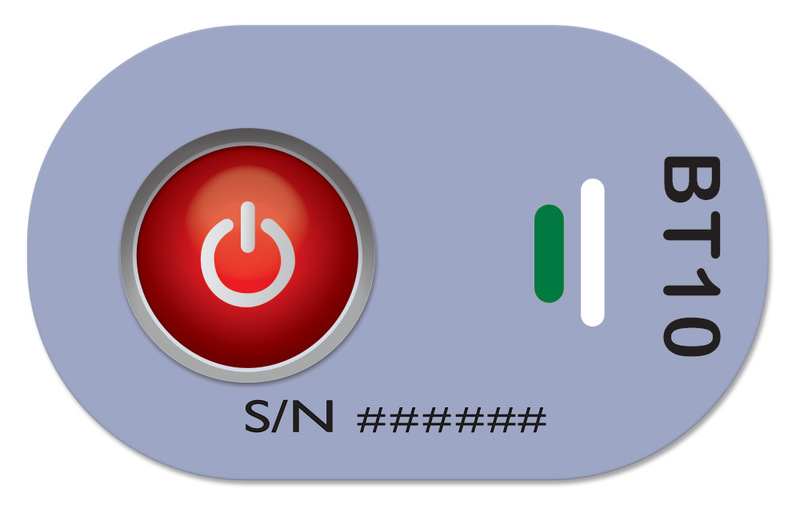 If surrounding temperature goes below 32°F (0°C) an irreversible color change occurs and the green dot turns red, providing immediate visual indication of temperature abuse. Receivers can make on the spot decisions regarding status of products received. 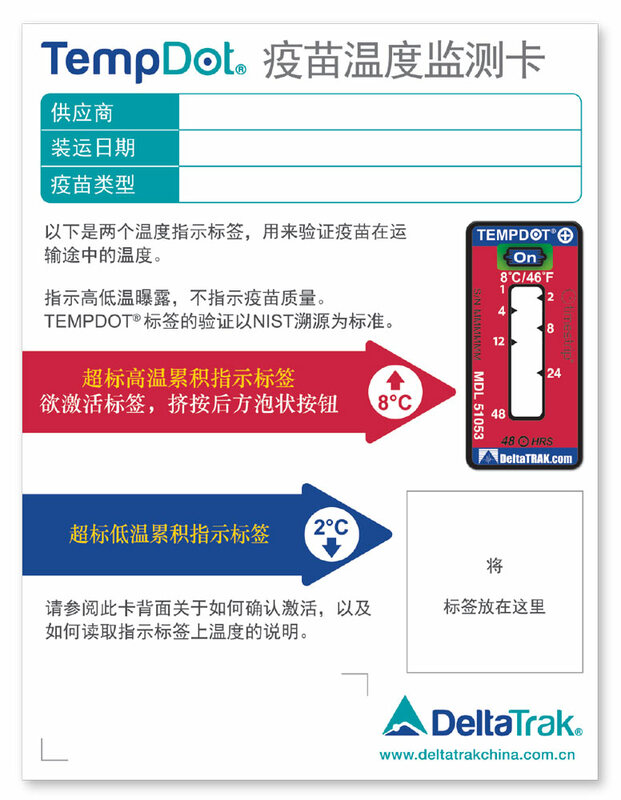 TempDot® Plus Blood Temp 10, Model 51064 Apply this temperature indicator label directly to pre-chilled blood bags to monitor conditions during transport and distribution of blood products. It ensures patient safety and minimizes unnecessary discarding of questionable blood bags by providing immediate visual indication as to whether or not they have not been exposed to temperature excursions. Blood can be reissued when there is proof that it hasn’t exceeded 10˚C/50˚F, meeting requirements set forth by the American Association of Blood Bank Standards for Blood Banks and Transfusion Services, and CFR 600.15(a). 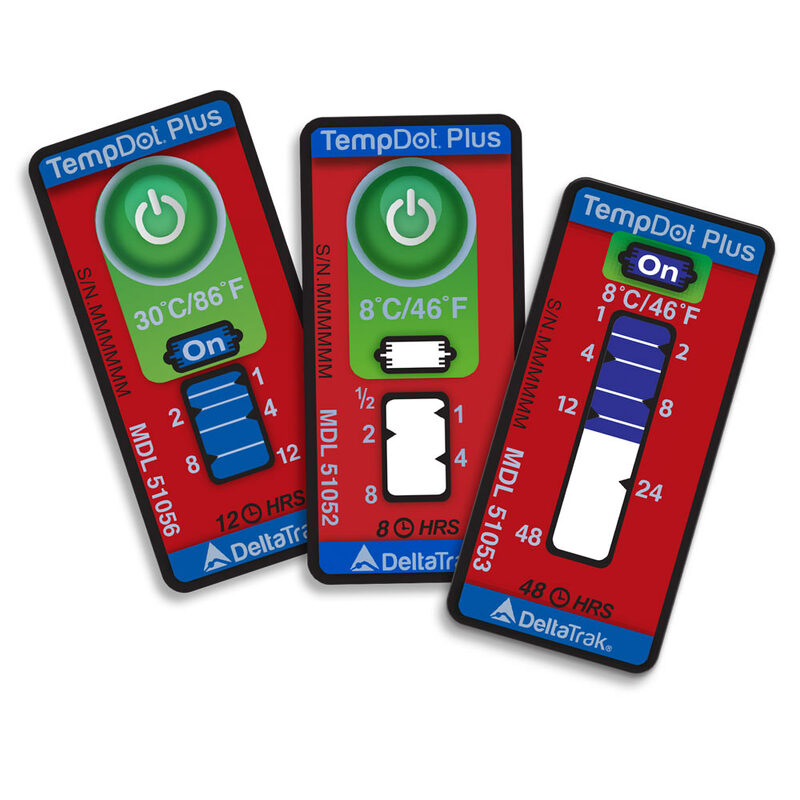 TempDot® Plus Blood Temp 6, Model 51066 Apply this temperature indicator label directly to pre-chilled blood bags to monitor conditions during storage of whole blood, red blood cells (RBCs) and plasma in blood banks, hospital refrigerators or temporary storage units. 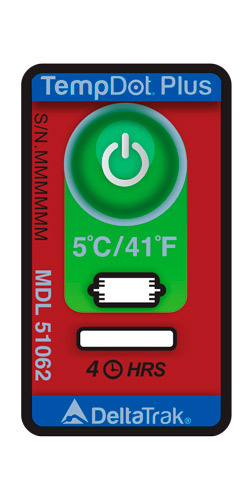 These labels ensure patient safety and minimize unnecessary discarding of questionable blood bags by providing immediate visual indication as to whether or not they have not been exposed to temperature excursions. Blood can be reissued when there is proof that it hasn’t exceeded 6˚C/43˚F, meeting Good Distribution Practices (GDP) for blood, which defines temperature storage for whole blood and RBCs between 1°C and 6 °C. This chemical indicator label is used to confirm exposure to descending temperature conditions and is used on products that are sensitive to lower limit excursions. If surrounding temperature goes below 32°F (0°C) an irreversible color change occurs and the green dot turns red, providing immediate visual indication of temperature abuse. 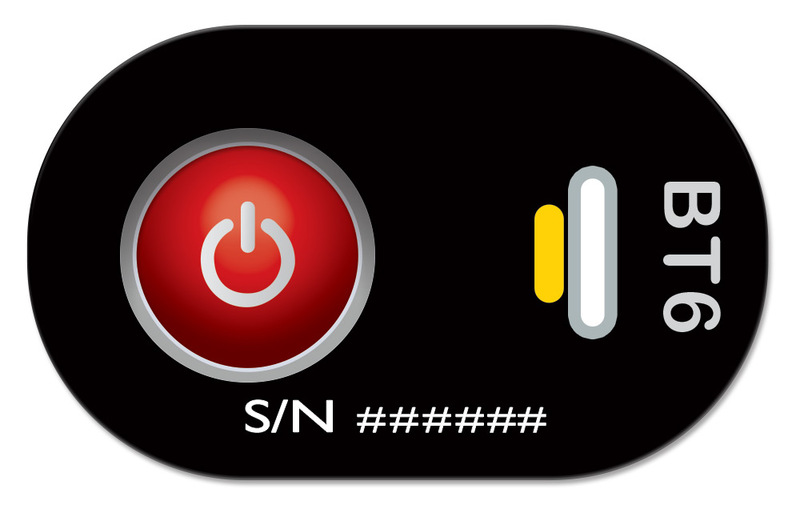 Receivers can make on the spot decisions regarding status of products received. 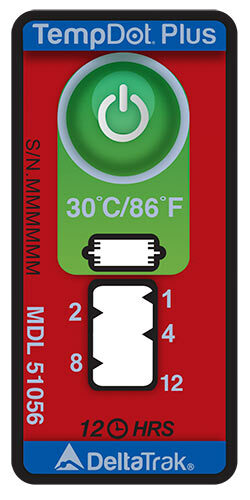 The TempDot Freeze indicator has a self-adhesive backing so it can be applied directly to a product, package, carton or pallet. 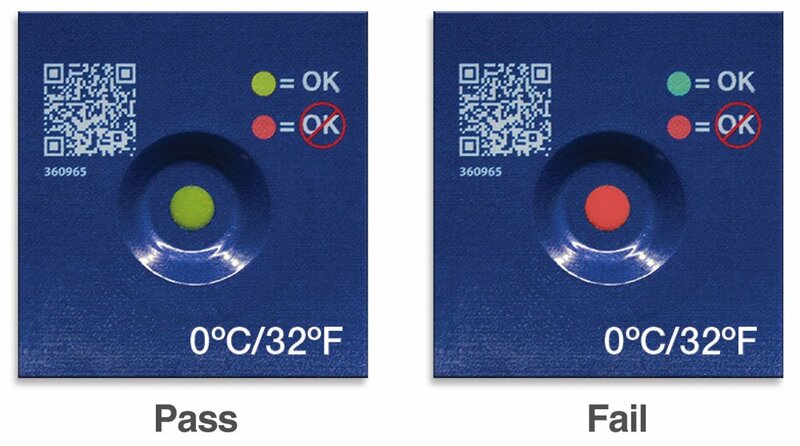 This is a tamperproof method for verifying when freeze damage has occurred and is an ideal tool for monitoring products in processing, packaging, staging, and storage areas, as well as during transport and handling. Application Pressure sensitive adhesive backing. Apply to clean, dry surface. 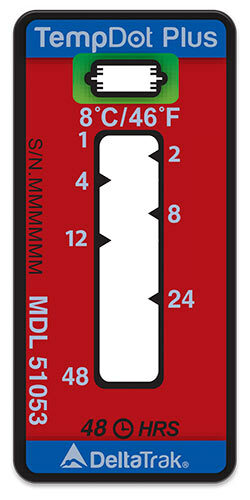 Apply this temperature indicator label directly to pre-chilled blood bags to monitor conditions during transport and distribution of blood products. It ensures patient safety and minimizes unnecessary discarding of questionable blood bags by providing immediate visual indication as to whether or not they have not been exposed to temperature excursions. Blood can be reissued when there is proof that it hasn’t exceeded 10˚C/50˚F, meeting requirements set forth by the American Association of Blood Bank Standards for Blood Banks and Transfusion Services, and CFR 600.15(a). TempDot Plus Blood Temp 10 provides a low cost solution for verifying blood bags have not been exposed to unsafe temperature conditions which could cause bacterial growth and harm patients. Improve blood handling programs, reduce loss rates, and ensure regulatory compliance by using this simple, accurate pass/fail temperature indicator. Apply this temperature indicator label directly to pre-chilled blood bags to monitor conditions during storage of whole blood, red blood cells (RBCs) and plasma in blood banks, hospital refrigerators or temporary storage units. These labels ensure patient safety and minimize unnecessary discarding of questionable blood bags by providing immediate visual indication as to whether or not they have not been exposed to temperature excursions. Blood can be reissued when there is proof that it hasn’t exceeded 6˚C/43˚F, meeting Good Distribution Practices (GDP) for blood, which defines temperature storage for whole blood and RBCs between 1°C and 6 °C. TempDot Plus Blood Temp 6 provides a low cost solution for verifying blood bags have not been exposed to unsafe temperature conditions which could cause bacterial growth and harm patients. 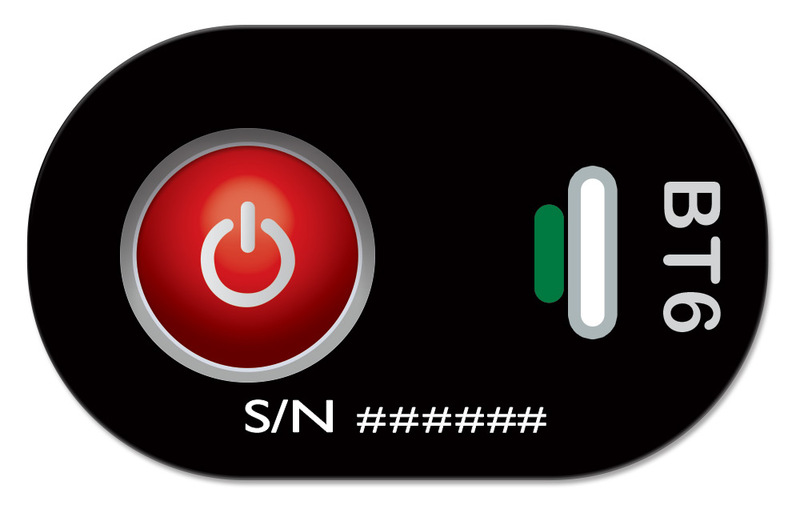 Improve blood handling programs, reduce loss rates, and ensure regulatory compliance by using this simple, accurate pass/fail temperature indicator. 应用: 在运输，存储和加工过程中监测商品的温度。反应适用温度可在-18°C 至 37°C 的范围.